Muller report ... what happened? Hmn .... after all that time and all that money spent, what happened?? Will someone hold those dudes responsible for waste of millions $US since it was obvios from the start of the witch hunt that Democrats organized political harrassment was the name of the game? We don't know, Wolfgang. As of the time of this post, none of us has seen the Mueller report or any of its substantive conclusions. We know Mueller's original mandate was to conduct "a full and thorough investigation of the Russian government’s efforts to interfere in the 2016 presidential election," including "any links and/or coordination between the Russian government and individuals associated with the campaign of President Donald Trump" as well as "any matters that arose or may arise directly from the investigation." With the submission of his report, it seems reasonable to conclude that Mueller believes he has fulfilled that mandate. In my view, such a mandate included but was not limited to the prosecution of crimes. We know his team indicted, convicted, or received guilty pleas from 34 people and three companies - including Russian citizens, some of whom were associated with the nation's military intelligence - on charges ranging from interfering with the 2016 election to witness tampering and lying under oath. We know the Mueller team earlier this month requested and received delays in the sentencing of Rick Gates because he is cooperating with "several ongoing investigations." We know Michael Flynn's attorneys have asked for an additional delay in his sentencing so that he can continue to cooperate with an investigation not related to Mueller's probe. We know the Mueller team handed off multiple lines of investigation to other federal prosecutorial entities, most prominent among which has been the Southern District of New York. In addition, the attorney general of the state of New York has launched investigations of Trump family business operations and the Trump Foundation, among others. And we know that Mueller's office does not intend to issue further indictments. What we DON'T know is: 1) What's in the Mueller report that the American attorney general is presently reviewing; 2) What details, if any, it includes about the conduct the Mueller team chose not to indict; 3) Whether the report declares, for example, that the president's conduct merited indictment, but the team chose not to indict him due to standing Justice Department guidance that sitting presidents cannot be indicted (for example, his involvement as "Individual 1" who, according to official court documents, directed Michael Cohen to commit the campaign finance felony to which Cohen has plead guilty; that makes the president an unindicted co-conspirator in that felony); 4) What other lines of inquiry, if any, the Mueller team might have seeded to other prosecutors. As political partisan who believes Donald Trump is a strong candidate for the most corrupt and mendacious politician in American history, I acknowledge my disappointment at the news SO FAR. I believed the Mueller team would issue more indictments; I was wrong. I temper my disappointment, however, with my belief in Robert Mueller's integrity, and accept the fact that if he chose not to indict anyone else, there was good reason not to indict anyone else. That is, I deem worthy of respect and acceptance all of Mueller's decisions, including his decisions to prosecute those 34 individuals and companies, his decision to farm cases out to other prosecutors, and his decision not to issue additional indictments. Do you similarly accept and respect all of Mueller's actions, Wolfgang, or only the ones of which you approve? I still wonder about the actions of the president and his people, and ask one central question: If there was nothing inappropriate about their interactions with Russians, then why did SO MANY of them lie SO MUCH AND SO OFTEN about those interactions? Do you routinely and repeatedly lie to others about your actions that you deem appropriate, Wolfgang? What's your best guess as to why Trump and his associates lied so much? In your post, you parrot the president's oft-stated description of the Mueller probe as a "witch hunt." By colloquial definition, a "witch hunt" is a search that finds nothing (because witches don't exist). The Mueller probe indicted or achieved the conviction or guilty plea of three dozen persons or entities, including the president's campaign chair and deputy chair, and his first national security advisor. That's a lot of witches. For a president who repeatedly assured us that he would hire "the best people," that's a WHOLE lot of witches. Did the Mueller probe waste money? I don't think so. Those competent to assess the outcome of criminal investigations by and large say the Mueller probe was extremely productive. But I realize you DO believe it wasted money. Did you have the same reaction to the seven or eight GOP-led congressional investigations into the Benghazi tragedy? You remember those, yes? Probe after probe after probe after probe - which in total, spent tens of millions of dollars - ALL coming to the conclusion that Hillary Clinton did nothing wrong, at least nothing deserving the full-throated condemnation which was those probes' objective? I don't recall your posting objections to those redundant investigations as wastes of money. Did you object to them? Are you willing to assert your objections to them now? One final point: I believe that conduct by the president and/or those around him didn't have to be illegal to be wrong. When the president lied to the American people about the purpose of the Trump Tower meeting with Russians (he authored the false statement issued to explain that meeting) that was not illegal, but it was wrong. Do you agree, Wolfgang? When aboard Air Force One the president lied to the American people as to whether he knew about the hush payments to Stormy Daniels, that was not illegal, but it was wrong. Do you agree, Wolfgang? When the president lies to the American people - which is almost every time he opens his mouth - it's not illegal, but it is wrong. Do you agree, Wolfgang? I could list dozens of actions the president and his people have taken over the last two years that might not have risen to the status of illegality, but they were certainly wrong. 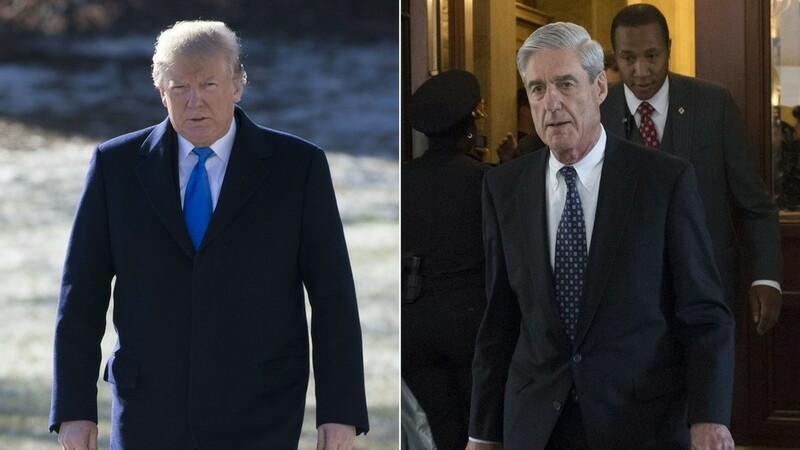 I'm guessing - without having seen ANY portion of the Mueller report - that they found morally and/or ethically improper conduct on the part of the president and his minions, but not conduct which met the high standard imposed on prosecutors: crimes charged must be crimes for which there exists proof "beyond a reasonable doubt." I look forward to your responses to the questions I've posed to you in this post, Wolfgang. Thanks in advance. If anyone lies it would be wrong .... But what do your questions have to do with Muller's investigation to uncover a Russian collusion? I tried to make myself clear as to my views of the Mueller investigation (NOTE: "Collusion" with Russia would not be charged as a crime unless it met the legal standard of "conspiracy." Further, I don't think collusion was the only focus authorized to the Mueller team - see the link to Rod Rosenstein's letter that I provided early in my previous post.) I asked you the questions I asked because I'm interested in your responses. So your "best guess" is that it's Obama's and Clinton's (et al) fault that Trump and company lied so often about their connections with Russians? Please say some more. I don't understand how Obama and Clinton could be held liable for other people's lies. I assume that the people telling the lies - in this case, Trump and company - would be held liable for their own lies. Please explain. As for "the swamp," recall that it was Donald Trump who promised to "drain the swamp." I can't think of a single action he's taken in the last 26 months that helped drain the swamp. More, given the failure rate and the documented ethical violations of so many of the people he appointed to his cabinet and other positions, I think it's clear Trump has only added to - deepened - the swamp. Do you hold Trump responsible for his actions that have deepened the swamp, or have those actions been Obama's and Clinton's fault as well? As for Clinton's alleged crimes and deserved imprisonment, I respect but strongly disagree with your views on those matters. Anyone think that now those main stream media and Clnton/Democrats false accusers will be made charged and brought to justice for fake news and hate speech and an attempted coup against the President of the USA???? We know there was NO COLLUSION. No Obstruction. Nothing the Democrats charged Trump with. Honestly, if I were Trump, I would now file lawsuits against every media organization and every politician that has kept up these lies about him. Take them all down. You missed the point. This whole thing is a Republican plan with Dems help. This is to embarrass and bring down Trump financially. The pieces are in place. This will happen now. Trump hurt too many people (Clinton, Bush, McCain, etc). Remember, it was a Republican who called for a special Counsel, investigated, etc. Don't lose sight. This is just the second quarter in the Trump take down and the jury is still out on his dirty dealings. 1. As a political partisan, I am sorely disappointed that Mueller’s team didn’t find conspiracy or coordination between the Trump campaign and Russia’s intrusion in the 2016 election. As an objective analyst, however, I am not surprised. Conspiracy in the context of the Mueller investigation is a criminal enterprise, which therefore in our system must be proven “beyond a reasonable doubt.” I’m not surprised that the evidence collected did not meet that high threshold. Mueller’s team of professional prosecutors was never going to bring criminal charges for which they didn’t believe they could get convictions. I personally expected Mueller to bring a conspiracy charge against one or more Trump campaign officials, but I’m a pastor, not a prosecutor. Hence, it doesn’t shock me that my prediction was wrong. The Mueller team examined the evidence and decided not to bring charges. I accept their conclusion. Contrary to the president’s and his loyalists’ end zone dances (including reformed’s in this thread and the thread he created) the Barr letter does NOT say the Mueller report concludes there was no obstruction of justice on the part of the president or others. Barr’s letter says the Mueller team “sets out evidence on both sides of the question,” but “(does) not draw a conclusion - one way or the other – as to whether the examined conduct constituted obstruction.” In addition, according to the Barr letter, the Mueller report says “while this report does not conclude that the President committed a crime, it also does not exonerate him.” In the AG’s letter, the only conclusion about obstruction of justice comes NOT from the Mueller report, but from Barr and Deputy Attorney General Rod Rosenstein who, according to Barr’s letter, decided “the evidence developed during the Special Counsel's investigation is not sufficient to establish that the President committed an obstruction-of-justice offense.” [Please note their use of the word “establish,” then revisit the previous bullet point.] BOTTOM LINE: Mueller’s report provides at least SOME evidence of obstructive conduct, but does NOT draw a conclusion as to the criminal charge of obstruction of justice; only Barr and Rosenstein do. Mueller’s decision not to make a decision as to obstruction of justice strikes me as quite odd. I wonder how often federal prosecutors across the country investigate possible crimes, but then decide not to decide. From what I’ve heard today, that happens VERY rarely. [Note that Barr’s letter does NOT say Mueller asked him to decide as to obstruction! Barr (and Rosenstein) took it upon himself to do so.] My best current assessment is that Mueller gathered the obstruction evidence and decided to leave it for Congress to decide whether the president’s conduct met the constitution’s “high crimes and misdemeanors” impeachment standard. It is a reality of some gravity that a federal criminal investigation could NOT exonerate the president of the United States of the charge of obstruction of justice. I hope we all agree that American presidents should conduct themselves so that ANY inquiry into their behavior will ALWAYS exonerate them of obstruction. That Mueller could not exonerate Donald Trump is worthy of note. The Barr letter troubles me for several reasons: 1) It offers almost no substance from the Mueller report itself - only a small number of sentence fragments; 2) It seems not to report all the other special counsel “declination decisions” - the reason(s) for each and every one of the charges the team chose not to bring - as required by the special counsel regulations; 3) It is written after only 24-48 hours of review of what must have been thousands of pages of information, and while the attorney general’s review is “ongoing;” 4) And the attorney general, who has already shown his bias (recall his 19 page memo written last summer that concluded there was no obstruction of justice) shows it again in his summary letter with his inclusion of two clearly gratuitous examples of the message “the Special Counsel did not find that any U.S. person or Trump campaign official or associate conspired or knowingly coordinated.” Barr offers that summary statement in the fifth paragraph of his letter - where it properly belongs - but then repeats it in the next two paragraphs! It’s as if he wants to say “Yes, the Russians did this bad thing, but as I just told you, Trump didn’t do it with them! And the Russians did that other bad thing, but don’t forget what I just told you two other times: Trump didn’t do it with them!” The additional occurrences of the summary are not factually incorrect - assuming Barr is correctly summarizing the Mueller report - but in my view, they are gratuitous and evidence of biased intent. 4. Barr’s summary letter makes clear that the Russian government DID interfere in the 2016 presidential election. Every time Donald Trump denied that claim, accepted Putin’s denials of same, or speculated about “400 pound” bed-ridden people doing the hacking, he was either profoundly uninformed, in utter and complete denial of reality, or lying. NONE of those is a good thing for a president of the United States. 6. As I have made clear in other posts, I accept the Mueller team’s integrity and professionalism and must therefore trust its judgment in these matters. I accept that it found no chargeable conspiracy or coordination with Russians. And I accept that it found evidence on both sides of the obstruction of justice question. Finally, I hope that the attorney general will release to the public every possible word, paragraph, page, chapter, section, and footnote of the Mueller report, redacting content ONLY as necessary for matters directly related to national security, sources and methods, and ongoing criminal investigations. 7. Nothing in the Barr summary letter, and I’m confident, in the Mueller report itself, changes my view that Donald Trump is the most corrupt and mendacious president in American history. Oh wow, really? The Clinton emails etc again? Hello there was actual evidence in that case. It was a political move not to bring charges and that has been proven. And, in case you didn't know, Trump is innocent until proven guilty. I know Democrats have a hard time with that. And I also know you are going to throw Clinton back and say double standard. But at least with Clinton there is a smoking gun. I am looking forward to seeing what actually will happen in the near future. Trump should be getting ready to file suits against a LOT of people. The president tosses "treason" charges around quite liberally, given his high office. Sadly, given his high office, the president also seems unaware that the definition of "treason" is made quite clear in the U.S. constitution: "Treason against the United States shall consist only in levying war against them, or in adhering to their enemies, giving them aid and comfort." (Article III, Section 3) The president will have a hard time finding people in the FBI or the DOJ who levied war against the country, or gave "aid and comfort" to its enemies. Personally, I'd be pleased... and more than a little surprised... were the president to demonstrate understanding of the meaning of the word. Reformed, I hope he does the 16 women, he groped, before becoming President. He promised to sue them after the 2016 election. First Amendment issues aplenty arise in your suggestion that the president should sue those who expressed negative, perhaps unfounded, opinions about his conduct. But if your standard is that those who are lied about should sue those who lie about them, Mr. Trump should see about adding to his collection of personal attorneys - they will certainly have a lot plaintfiffs to depose. I don't mean to litigate the Clinton email case. I mean only to cite it as an example of the kind of "crow" eating I'm doing. My claim that the Barr letter gives us no information about "collusion"? My claim that the Barr letter does NOT say there was NO evidence of conspiracy or coordination, but only that there was not enough evidence to charge coordination or conspiracy? My claim that it was Mueller's job as special counsel to make a judgment about obstruction of justice, not the political appointee Barr's, a man who made his beliefs about the president and obstruction clear last summer? And my claim that the fact that a lengthy and in-depth federal investigation could not exonerate the president of the United States of the crime of obstruction of justice is troubling because presidents should behave in ways that make exoneration of such crimes quick and easy to conclude? Oh Democrats are losing their minds over this. They really thought all of this happened. Get the popcorn everyone who actually has a brain is enjoying this. FoxNews judicial analyst Andrew Napolitano offers a cogent and considered assessment of the state of play regarding the Mueller report. His basic findings in the video available at THIS LINK are that Attorney General Barr's four page report summary letter violated the same rules of procedure regarding the disclosure of information that former FBI director James Comey violated in 2016, and that the Mueller team must have found at least some evidence of conspiracy/coordination between the Trump campaign and Russia. The video is 3:27 worth your time. Have a look. Looks like nothing more than speculation. From what I've read, there are DOJ policies and procedures regarding not commenting on the wrongdoing for which people aren't charged. In addition, the content of Barr's summary letter - for example, its two gratuitous inclusions of the message "But remember, Mueller couldn't establish that President Trump did that bad thing!" - suggests strongly that had the Mueller report found no evidence of conspiracy and/or coordination with the Russians, Barr would have said so... but he didn't. If those two conclusions are "nothing more than speculation," they are nothing more than rational, common sense, and evidence-based speculation. p.s. Given the Trump Tower meeting with Russians that Don Jr and Manafort took, having been told by email to expect dirt on Hillary Clinton from the Russian government, AND today's revelation from a former Trump campaign spokesperson about Hope Hicks' acknowledgement to him, with President Trump on the line, that the campaign had concocted a story about that meeting, do you really believe Mueller found NO evidence of conspiracy or coordination with the Russians? Or do you agree with me that the sentence fragment we get in Barr's letter (that Mueller did not "establish" conspiracy or coordination) means only that Mueller didn't find chargeable conduct he could prove beyond a reasonable doubt? It was speculation because the Judge, nor you, nor I have seen the report. What we do know is that Trump is innocent until proven guilty. He has not been proven guilty. I, like you I am sure, would like to see and hope that the full report gets released. We have common ground on the fact that none of us has seen the Mueller report, and that the report should be made public in full. Common ground is always a good thing in this partisan age of ours. As for the president's guilt or innocence, we also have common ground as to the presumption of innocence he and all persons are owed. But in my view, for presidents of the United States the bar of acceptable conduct is much high than "not guilty of a chargeable offense," or "not indicted but also not exonerated of criminal obstruction of justice." I predict that the full Mueller report will show a great deal of conduct that does not meet consensus standards of conduct we expect from presidents, including very troubling efforts to obstruct justice, as well as connections to the Russian government not previously known publicly. That is, in my view, these are the best days for the president when it comes to the Mueller report; he should leverage AG Barr's eight paragraph, two footnote summary of those hundreds of pages for all its worth, because the headlines won't be nearly as kind after the full report drops... or so I predict. Only time will tell. But again, that is just speculation. I believe, correct me if I am wrong, that you predicted a lot more indictments much closer to the President would happen as well but they did not. It's worthy of note, however, that the Mueller team convicted, won indictments of, or negotiated plea agreements with: a former chairman of the president's election campaign (Paul Manafort), the deputy chair of that campaign (Rick Gates), the president's first national security adviser (Michael Flynn), the campaign's former foreign policy adviser (George Papadopoulos), the president's former personal attorney (Michael Cohen), and a long time friend and adviser to the president (Roger Stone)... among others! Assess as you will the significance of the crimes to which each of those people pleaded or was found guilty, but they are all now felons or, in the case of Stone, an accused felon. Do you agree with me that the company of so many felons is a troublesome fit for a president who on many occasions promised to "drain the swamp" and hire "the best people"? In addition, several investigations remain active, including federal probes in the state of New York, and separate work by that state's attorney general (subjects include the Trump organization, the Trump Foundation, and the inaugural committee). For that matter, we learned this week that Mueller's grand jury is "continuing robustly" even though his office has closed. Indictments specific to the Trump campaign's relationship with Russia will not arise from those investigations, true. But the president and people in his personal orbit are clearly not yet out of the legal woods. Indictments that were unrelated by the way. I think a strong case can be made that the Cohen plea to making false statements to Congress about the timing of the Trump Tower project in Moscow, and the Roger Stone indictments for witness tampering and making false statements to Congress about his attempts to contact Wikileaks regarding the Clinton campaign emails which had been stolen by the Russians, are not "unrelated" to the Trump campaign's connections with Russians. WHATEVER their particular crimes, however, each of those folks - save Roger Stone, at least for the time being - is a convicted felon, so I'll ask you again the question I posed in my last post: Do you agree with me that the company of so many felons is a troublesome fit for a president who on many occasions promised to "drain the swamp" and hire "the best people"? Do you want to go over Obama's list? Bill Ayers anyone? "Whataboutism" is not a disease for Trumpster nation, is it? Why, it's the cure for all manner of unsettling factual realities! When every objective fact checker declares that Donald Trump has made literally thousands of false and misleading statements during (but also before) his term of office, Trumpsters say "But Obama said we would keep our doctors." When interviewer Bill O'Reilly asserted that Vladamir Putin was a "killer," a leader who had ordered the assassination of journalists and political opponents, Mr Trump said "There are a lot of killers. You think our country's so innocent?" In 2017, when asked about the alt-right's role in the murder of a protester in Charlottesville, the president said "What about the alt-left?" In a March 2017 tweet, the president deflected attention from the then still growing list of contacts his campaign had had with Russians by saying "What about all of the contact with the Clinton campaign and the Russians? Also, is it true that the DNC would not let the FBI in to look?" What about?... It's a great and badly flawed tool for people who want to avoid scrutiny, accountability, and answering the questions put to them. Somehow Obama's handful of falsehoods deserves the same judgment as Trump's thousands. Somehow our country's failures are the moral equivalent of those of a murderous thug in Moscow. Somehow a political movement whose very existence, let alone impact, can hardly be proven (the "alt-left") is just as dangerous as a movement whose hatred and infection in our culture is clear and not debated (the "alt-right"). Somehow the Clinton campaign's contacts with Russians - which likely numbered in the single digits, and probably less than a handful - are as fraught with peril as the Trump campaign's several dozen contacts that have been the subject of a two year investigation whose final report will no doubt demonstrate the campaign's willingness to accept Russian help in its election, whether that willingness rose to the legal standards of "conspiracy" or not. And in your reply, reformed, President Obama's connections to a single social activist with a violent past fifty years ago - connections which multiple news organizations concluded were NOT NEARLY as close as critics alleged - somehow equates in significance and alarm to the current president's connections with the many campaign and administration officials who have been convicted or have plead guilty to felonies that occurred within the last three years, a president who promised to "drain the swamp" and pick "the best people." What about?... the question I've now twice asked, reformed, the question you've twice evaded, most recently through one of Trumpster Nation's most beloved tactics, whataboutism? For the THIRD time I ask you: Do you agree with me that the company of so many felons is a troublesome fit for a president who on many occasions promised to "drain the swamp" and hire "the best people"? Doesn't really bother me. Most of these "felons" are for process crimes not real dirty work. That being said, you keep talking about the thousands of lies of Trump. I contest quite a few of those as not real lies. WaPo twists things A LOT.